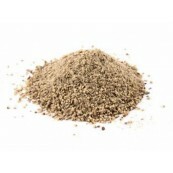 White pepper offers a somewhat different flavor than black pepper and is less pungent with a distinctive aroma. It's flavor can be described as piney, woody, and terpeney. 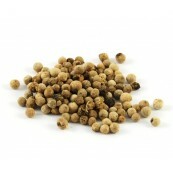 White pepper is a slightly milder version of the common black pod or grind. They both originate from the same berries, which are called peppercorns.